Here’s a little piece of gear you’re going to love. You’ll want to stock up and get one for “everyone on your list.” When it comes to no-brainers, this one’s about as no-brainy as you can get. Meet SwitchMate. These light switch adapters adhere using the the metal screws that are already in your light switch. Strong magnets hold it in place. From there, the adapter just flicks the switch for you. You can control them through an app or through Alexa or Google Assistant. You can even just use voice commands without setting them up. It’s so easy! If you don’t like the installation, just take it off. Or take it off and put it back on as you need. there’s no damage and not even anything to screw in. 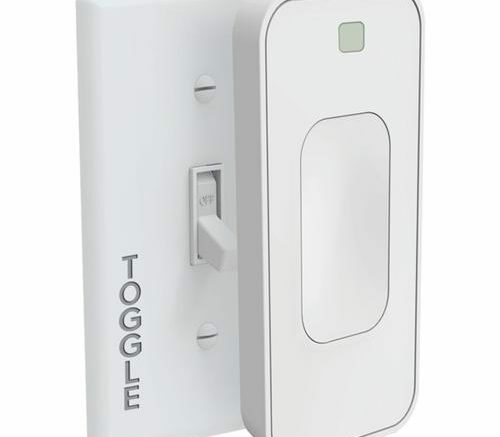 The Switchmate products work with old-school or decora-style switches, and there are also outlet covers that add smart function as well as USB charging and night-light function. This is so easy, anyone can do it! Sometimes giving tech gifts can be frustrating. You really have to think about whether or not the person is going to be able to install it themselves. A gift that’s intended to make them feel good about themselves can turn bad if it just ends up in a drawer or ends up costing them money. As a gift-giver you just have to know which light switch style to use. The smart outlet will work with most outlets of either style. From there, either choose one of our kits or put together a kit of your own that takes care of just what your loved one wants. This is one gift that anyone can use and isn’t going to end up in the back closet after a few weeks. Solid Signal carries all the SwitchMate products at great prices! Check them out now! Is it time to upgrade your company’s surveillance system?